The second event on the NHLPA’s Goals & Dreams (G&D) fund 15th year, multi-city anniversary tour takes place in Ottawa, Ontario, on December 8, and will celebrate three very worthy initiatives: Project North/Ottawa Inuit Children’s Centre (OICC), and Sledge Hockey of Eastern Ontario (SHEO). Throughout the 2014-15 NHL season, the NHLPA will be connecting Players and grassroots hockey organizations through G&D by donating a projected $750,000 worth of brand new hockey equipment to grassroots programs around the world. The contributions will help push the total of G&D donations to more than $22-million that has helped 70,000 children play hockey over the last 15 years. At Monday’s event, G&D will donate $25,000 worth of equipment. SHEO will receive 10 sleds, while Project North / OICC will receive 25 complete sets of hockey equipment. Michelle Valberg, President of Project North, a not-for-profit organization dedicated to improving the lives of children in Canada’s north, is thrilled to once again be working with G&D, which kicked off its anniversary festivities in Hastings, Minnesota, on November 18. “Initially, I was directed to Goals & Dreams and I had a wonderful conversation with Devin (Smith, Chairman, G&D) on the phone," recalled Valberg. "Since we met the criteria, he recommended we put in a proposal. 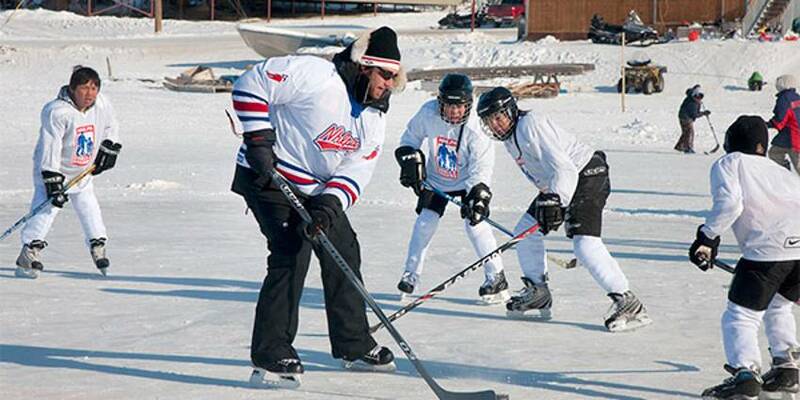 A few months later, we received equipment and delivered to two Arctic communities. 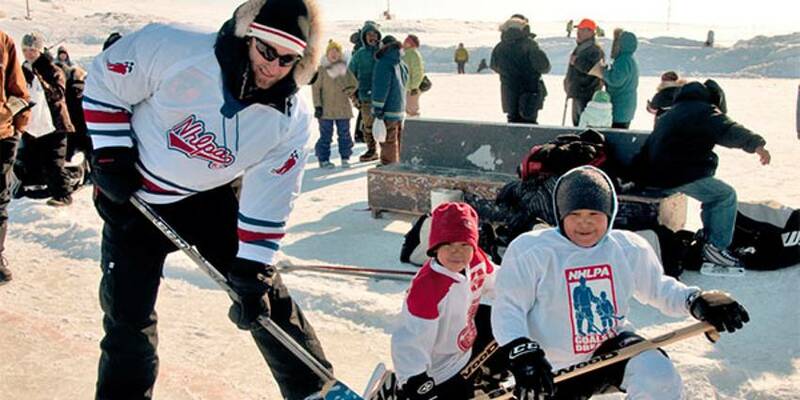 In 2010, Project North delivered $25,000 of brand new equipment from G&D to the community of Igloolik, Nunavut. Three years later, G&D donated 50 more sets of brand new hockey equipment, which was distributed to children in Hall Beach, Nunavut. To date, Project North has delivered over $600,000 of brand new hockey gear to 20 Inuit communities (18 in Nunavut and 2 in Labrador). Phillips takes great pride in his relationship with Project North and G&D. Phillips isn’t the only player to have lent his time and support to Project North. It’s something that Kelli Tonner, a Program Director at the South-East Ottawa Community Health Centre and a representative with Sledge Hockey of Eastern Ontario, has seen in her efforts with SHEO. SHEO is an association made up of handicapped athletes, their families, coaches and volunteers who take part in sledge hockey (known as “sled hockey” in the U.S.). Players are from Ottawa and the surrounding area, including: Almonte, Beachburg, Bourget, Casselman, Cornwall, Gatineau, Lunenburg, Morewood, Rockland, Thurso, and Winchester. 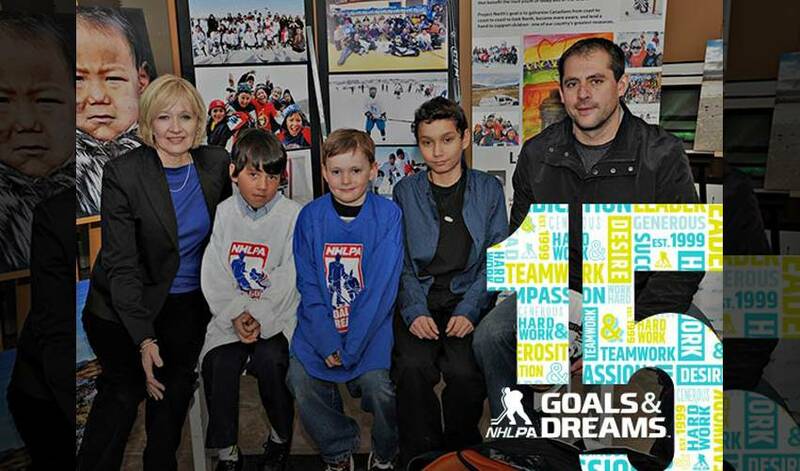 Goals & Dreams has pledged to donate 10 sleds to SHEO. “For 15 years, SHEO had been recycling old equipment between our youngest and oldest players,” said Tonner. “It was outdated, old and cumbersome equipment and difficult to see our young players struggle with such ill-fitting sleds. It was clear that our players could not reach their potential without the proper equipment. In addition, the lack of adjustable equipment also prevented us from outreaching and recruiting new children and introducing them to the team sport of hockey. Tonner is grateful for the assistance of G&D. The G&D tour’s next stop is in Vancouver, BC on December 18, an event that will benefit children from BC Minor Hockey and KidSport BC.